Duncan W. Alderson began his career writing advertising copy for an exclusive chain of fashion stores in the Southwest, then went on to teach English at the Toronto Waldorf High School. A Houston native, he was inspired by pictures of his mother, Dottie May, dressed as a flapper in 1920s Texas and spent ten years researching and writing his epic historical novel Magnolia City. 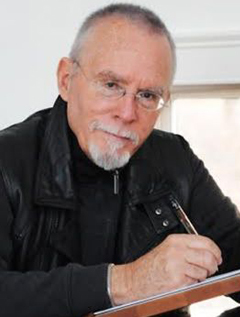 Duncan lives in Lancaster County, Pennsylvania, where he founded the Rabbit Hill Writers' Studio, and New York City with his wife, Isabel Lark.